JAMF Software has come a long way since it was just a two-man operation in the early 2000s, with founder Zach Halmstad handling product development and business partner Chip Pearson focusing on sales and marketing. The Minneapolis-based company—which provides enterprise software for companies, schools, and government agencies running on Apple devices—has since grown into an international operation with about 430 employees and more than 5,000 customers. In the process, JAMF has become a key employer and anchor tech company for the small city of Eau Claire, WI, where it was founded and where most of its employees are located. But today, almost 13 years to the day after JAMF’s launch, Halmstad and Pearson are relinquishing their co-CEO duties to incoming chief executive Dean Hager. Halmstad and Pearson will remain closely involved in the business, with both taking the title of “partner.” They’ll also stay on the board and retain large stakes in the company, Hager (pictured above) says. Hager, who has about 25 years of leadership experience with tech companies, will take over day-to-day operations. The move allows Halmstad and Pearson to focus on what they’re best at: product strategy and developing relationships with partners, respectively. “This is not in any way the two of us stepping away from the organization,” Halmstad says. There weren’t many disputes, Halmstad says. But when they did arise, the two CEOs usually learned from the other person’s point of view and settled “somewhere in the middle,” he says. JAMF searched for a new CEO for about six months, combing through more than 100 resumes and meeting with a lot of “amazing candidates” before choosing Hager, Halmstad says. 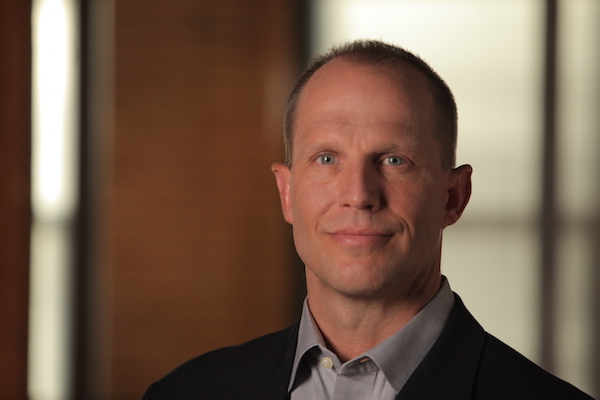 Hager started his career with IBM’s office in Rochester, MN, spending nearly a decade there in various research and development managerial roles, according to his LinkedIn profile. He went on to hold executive positions during a 14-year stint with Lawson Software in St. Paul, MN, before becoming president and CEO of Kroll Ontrack, a data recovery and software services company in Eden Prairie, MN. Hager says he left Kroll a year ago to take a break and spend time with family, pursue hobbies (including triathlon competitions), devote more time to serving on nonprofit boards, and reflect on what he wanted to do next. “It was a great time for a midlife crisis,” he jokes. JAMF is currently on a hiring spree and should be up to about 500 employees worldwide by the end of the year, Halmstad says, with Eau Claire remaining the company’s largest office and Minneapolis the corporate headquarters. In addition to those two main offices (about 90 miles apart, both near the Wisconsin-Minnesota border), JAMF has satellite locations in New York, Amsterdam, Sydney, Hong Kong, and Cupertino, CA. Hager’s goal is to sustain the company’s growth and find ways to expand the business even further.